The Queensland Islands offer a range of holiday attractions, activities and tours that are as many and varied as the region itself. From the World Heritage listed Great Barrier Reef to the tropical holiday destinations of Moreton and Fraser Islands, there is a relaxing break to suit everyone. Whether you're up for a bit of adventure, want to simply relax and work on your tan or spend some private time with that special someone there is a Queensland Islands tour and holiday experience to suit you. This region offers nature at its best and is ideal for swimming, snorkelling, diving and cruising the islands and reef however there are also a number of unique wildlife experiences including bird rookeries, turtle hatching, whale watching and even hand feeding a pod of dolphins. 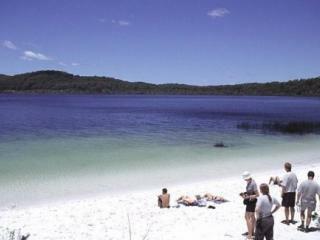 One of Queensland's most popular holiday destinations, Fraser Island is the largest sand island in the world and is renowned as a camping and 4WDing holiday hot spot. Home to pristine expanses of beach, impressive coloured-sand cliffs, rugged headlands, natural sand blows and freshwater lakes. The most iconic attractions on Fraser Island include 75 Mile Beach, Lake Mackenzie, Wanggoolba Creek, Central Station and Rainbow Beach. The Great Barrier Reef is home to an amazing array of marine life and colourful corals and there are a number of ways to enjoy this World Heritage listed natural wonder of the world including snorkelling, scuba diving, glass bottom boat tours, semi submersibles as well as underwater observatories. With many of the islands on the Great Barrier Reef deemed National Parks, there is also an outstanding range of wildlife and nature experiences to be had on land as well. With 95% of Moreton Island declared a National Park, this popular holiday destination is home to some of the most unique landscapes and diverse wildlife. The most popular places to explore on the island include the amazing freshwater lakes, iconic coloured sands, rugged cliffs and beautiful beaches. 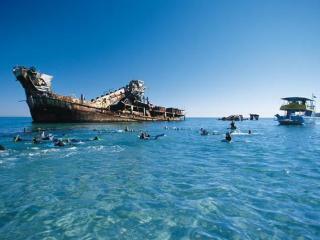 There are also a great range of historical sites and adventure activities including the Tangalooma Wrecks, sand tobogganing, resort activities, hand feeding dolphins and Blue Lagoon. The Whitsundays are an iconic holiday destination off Australia's tropical coast, home to over 74 islands and the famous World Heritage listed Great Barrier Reef. There are a fantastic range of ways to explore this stunning environment including scenic flights and day tours and cruises which allow you to get up close and personal to the diverse marine life, colourful corals, pristine beaches and secluded bays. There are also plenty of activities on offer. 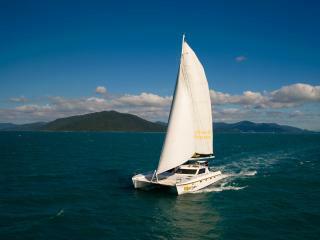 An exciting and unique way to explore the stunning Whitsundays and Great Barrier Reef is with a cruising and sailing adventure. There are a wide variety of experiences available including bareboat charters, classic and luxury sailing experiences, tall ship adventures and even the opportunity to earn internationally recognised sailing qualifications with a learn to sail experience. The solid, stylish vessels also enjoy an excellent range of on board facilities.